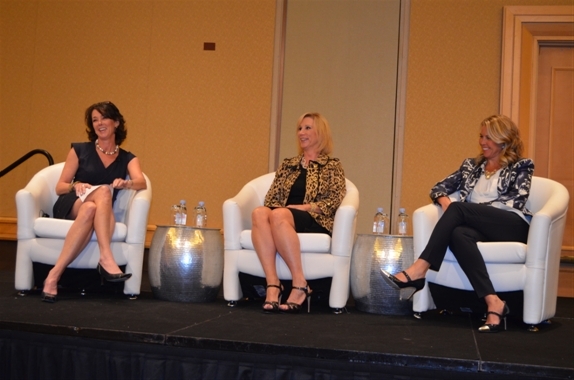 Bright and early on the morning of Monday, January 26, 2015, WE had the pleasure of hosting our 2nd Annual Women in ETFs Breakfast at the ETF.com Inside ETFs conference in Hollywood, Florida. The theme this year was the Investment Outlook for 2015, featuring two prominent investment strategists, Liz Ann Sonders, Senior Vice President and Chief Investment Strategist of Charles Schwab & Co., and Mary Ann Bartels, Managing Director and CIO of Portfolio Solutions at Bank of America Merrill Lynch.Sharon French, a member of the WE leadership and President of F-Squared Capital, moderated the discussion. Sue Thompson, one of WE's founders and a representative of BlackRock, our Gold sponsor, opened the program to talk about how far WE has come, in just one year, in terms of connecting, supporting and inspiring women in the ETF industry. Over 200 women and men (~20), filled every seat in the conference room, until the room was overflowing. 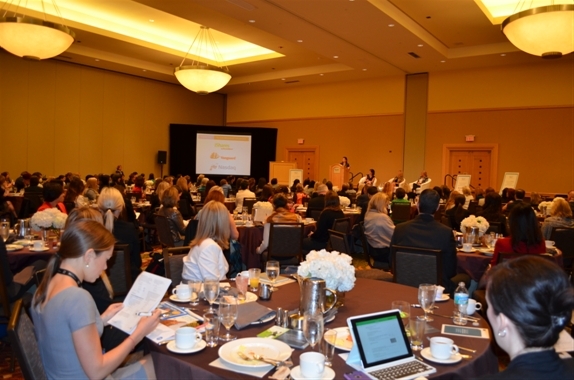 The number of WE breakfast attendees alone nearly doubled from one year ago. That's progress!Sue also announced the exciting launch of our brand new website: www.womeninetfs.com. 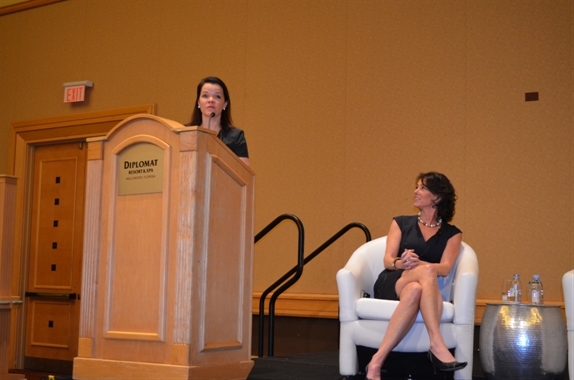 Martha King, Managing Director and Head of U.S. Financial Intermediaries from Vanguard, our Silver sponsor, closed the event by talking about what's to come for WE as we continue to expand our reach and our work to connect, support and inspire women in the ETF industry. As widely followed strategists, Liz Ann and Mary Ann shared their insights on prospects for various asset classes and market direction in the coming year. The audience was impressed by the confidence of the speakers and their ability to turn complex topics into simple discussion points.Sharon artfully wove in a question at the end about Mary Ann and Liz Ann's careers. The audience was captivated by their stories, especially the fact that they had worked together early in their careers, and how men advocated on their behalf, leading to pivotal turning points as they entered the world of TV strategy spokesperson. We left plenty of time at the end of the event for WE members to engage the speakers directly as well as to snap a few good shots of WE leadership and members, gathering, networking and having fun! The attendees left with hands full -- a sleek silver moleskin writing notebook with the WE logo on the cover, a BlackRock Fund Frenzy form and pen (don't forget to sign up to win a big donation to a charity of your choice), a Vanguard pad-folio, and from our silver sponsor, NASDAQ, a great stylus/pen. However, that is not where the fun ended! WE had our own booth at the conference where leadership met existing and prospective members and prospective sponsors, and even had an iPad on hand so conference attendees could join on the spot -- and they did... leaving our membership committee heads busy at work during the event approving new members. 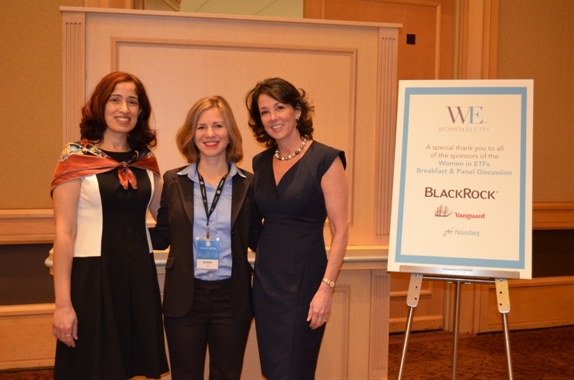 Overall, it was a truly exciting start to 2015 for Women in ETFs!